If you are planning to whiten your teeth, the important first step is to settle upon a whitening method. It may seem like there are a multitude of options, but it’s important to remember that they all employ a peroxide-based whitening solution. The difference lies in the strength of the bleaching solution and method of delivery. 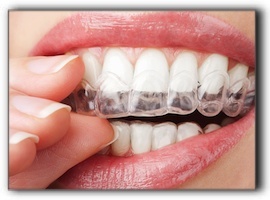 In-office whitening procedures generally use a solution with a relatively higher concentration of peroxide. In other words, it is stronger. Let’s look at the pros and cons of DIY and in-office teeth whitening. Did you know that in order to maintain the brightness achieved from an in-office teeth whitening treatment, a patient must follow up with at-home touch-ups? Therefore, a combination of in-office and DIY methods is often the most effective solution. A few years ago during the height of the tooth-whitening craze, teeth whitening kiosks starting popping up in Moore area malls. Though some have closed their doors, a few remain in business. urges patients to avoid these establishments. There is little regulatory oversight and customers have no guarantee of the safety of their services or the qualifications of their employees. 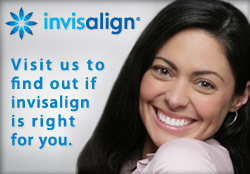 As always, it is essential to only trust your smile to dental professionals. OKC Smiles advises patients to meet with with their Oklahoma City dentist before starting any tooth bleaching regimen. An oral examination will help your dentist know if tooth whitening will deliver the results you are seeking. This is especially important when you have tetracycline stains or multiple restorations.